Cedar Falls Dance Team tryouts for the 2015 – 2016 season were held the morning of Friday, March 27. Judged by area dance experts — and in part by the 2014-2015 season captains, 27 participants auditioned. The results were posted later that evening, announcing the 2015-2016 performance and competition teams. This coming season’s performance team, which attends camp in the summer and performs at all home football and basketball halftimes during the school year, consists of 22 members: 21 girls, listed at right, and for the second time in Cedar Falls history, one boy, current junior Jarod Smith. 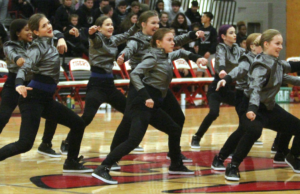 Smith was also accepted, along with 13 other girls and four alternates, to be part of the competition hip-hop team which competes each year at the Iowa State Dance and Drill Team Association’s statewide competition. The competition pom team, which also competes annually with ISDTA, consists of 12 girls and three alternates. After watching tryouts, team coach Gayle Bruene is really excited for the coming year. “It’ll go great,” she said. “We’ve got lots of experience on the team, and I’m excited to work with everyone.” Former captain, senior Josie Speltz thought the same. “Next year will be good. The captains that were chosen are very responsible and are great dancers. I think they can accomplish a lot next year,” she said. This coming season’s captains, current junior Sommer Danielsen, current junior Jessica McMurrin, current junior Hannah Gaffney and current junior Katy Lockard, are all extremely enthusiastic for their final year. 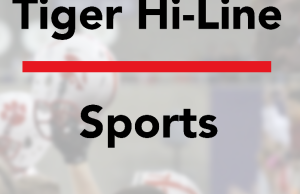 “I’m really excited to be a captain this year and have the opportunity to have a positive influence on the team, as well as connect with a team and have fun with all the new members,” Danielsen said. Lockard echoed her, and said, “I’m really excited to be a leader to the team, to set an example to the new girls coming in.” Even first-year member, current eighth grader Ellie Judisch is excited about the up and coming season. “I’m really excited to have made the team and am glad to dance with people who share my passion,” she said. Perhaps most excited of all is Smith, who is the second boy in CF history to be part of the performance and competition dance teams, and the first to officially try out with all the girls. CFHS alumni Richard Lam danced with the competition hip-hop team his senior year, during their 2012-2013 season, but didn’t try out with the team. He had his own tryout after the girls’. His year on the team was the first year ISDTA allowed guys to be a part of the girl competition teams.